Bodhidharma. b. 460? Semi-legendary founder of Chan, born in India and migrated to China. When you see smoke on the other side of the mountain, you know immediately there is fire. When you see horns on the other side of the fence, you know straight away there is an ox. This is the every day food and drink of a patch-robed monk. When one has cut off the myriad streams, one appears in the east and disappears in the west, opposes or complies in all directions, gives or takes away with perfect freedom. At such time, just say, who lives and acts like this? Observe well Xuedou's entangling vines. Benka's three offerings did not prevent his being punished: If a luminous jewel were thrown at them, few are the men who would not draw their swords. For an impromptu guest, there is not an impromptu host; he's provisionally acceptable but not absolutely acceptable. If you can't grasp rare, valuable treasure, let's toss in a dead cat's head and see. Sato's Notes:  A man named Benka found a stone in which a gorgeous gem was hidden inside. He presented it to King Rei of So, but the king considered this a malicious joke and cut off one of Benka’s foot tendons as a punishment. The same thing happened with King Bu, and Benka lost the tendon of the other foot. Only in the time of King Bun did they discover that the stone did hide a wonderful gem inside. Once a snake in the castle of Zui was saved by a man named Shukugenyô. The snake wanted to thank the savior by presenting him a radiant pearl in the darkness. Shukugenyô was terrified and wanted to draw his sword. Book of Serenity continues: and came to the Shaolin Temple. There he sat for nine years, facing the wall. Blue Cliff Record continues: and came to the Kingdom of Wei. Later the emperor asked Baozhi about it. The emperor regretted what had happened and wanted to send an emissary to invite Bodhidharma back. Baozhi said, “Your Majesty, don't try to send an emissary to fetch him back. This dull fellow speaks up. What a donkey-tethering stake this is. Wu considered this answer rather extraordinary. The arrow has flown past Korea. Very clear. Wu is filled with embarrassment, forcing himself to be astute. As it turns out, he gropes without finding. Bah! His second reply isn't worth half a cent. Too bad! Still, he's gotten somewhere. This wild fox spirit! He can't avoid embarrassment. He crosses from west to east, he crosses from east to west. A poor man thinks about an old debt. The bystander has eye. Wu should chase Baozhi out of the country too; Baozhi should be given thirty blows. Bodhidharma has come. After all this is Emperor Wu's understanding of Bodhidharma's public case. Boazhi explains haphazardly. The elbow doesn't bend outwards. After all, Bodhidharma couldn't be held. As I said before, Wu is dull. When someone in the eastern house dies, someone of the western house joins in the mourning. Better they should be all driven out of the country at once. Again Baozhi deserves thirty blows. He doesn't know that the great illumination shines forth from under his own feet. Even getting up at the crack of dawn, he never made a profit at the market. For the time being turn to the secondary to ask. Splits his guts and gouges out his heart. He finds tusks in his nostrils. "if you see jowls from behind his head..."
 A square peg doesn't fit in a round hole. A house with no surplus goods doesn't prosper. The holy truths are empty -- how should one discern the point? Again, "Who stands before me?" Who is in my presence? After all he says he doesn't know. Secretly, by night, he crossed the river. But how could he avoid making brambles grow? All the people could not bring him back. 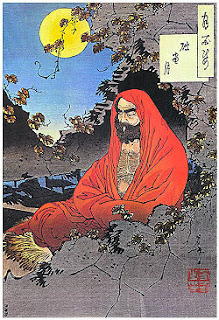 Still Bodhidharma fills your mind -- in vain. Throughout the ages, he's remembered in vain. A gentle breeze pervades the universe. Give up remembrance -- what end is there to the pure wind circling the earth? The poet looked around and said, "Is there a Zen master here? And he can wash my feet." Then he himself said, "There is. Call him to wash my feet." The approach is far off. Failing, he drops the pitcher without looking back. in silence the Right Decree's fully revealed. In silence he completely brought up the true imperative. the Milky Way's pale, and the Big Dipper's handle hangs low. The Milky Way thin, the Dipper hangs down its handle in the night. From this humans and divinities have made medicine and disease. If only you can penetrate "empty, without holiness," then you can return home and sit in peace. Another arrow is already too many. O Lord of Liang, speak no more of going to summon him. Alas! I saw him without seeing him, I met him without meeting him, I encountered him without encountering him; now as before I regret this deeply. If your mind exists, you are stuck in the mundane for eternity; if your mind does not exist, you experience wondrous enlightenment instantly. I say, leaving aside the highest meaning for the moment, what do you want with the holy truths? The ancients sometimes came forth, sometimes stayed put, sometimes were silent, sometimes spoke; all were doing buddha-work. After all his is not lavishly praised. If you create an understanding of holiness, you will succumb to all errors. The emperor wonders who this is in his presence. At least that's better than pretending he knows! Bodhidharma got out of there heavy of heart, "stirring up a pure breeze with every step." As for Baozhi, he is a guy who, same as Bodhidharma, makes a show of reaching out to help. Everything, meadows, mountains, and all, is the embodiment of compassion. The cosmic void is empty; not a particle can stand in it. There's no such thing as ordinary or holy. The emperor doesn't understand Bodhidharma's answer; he grabs onto the words and merely tries to rationalize: "Aren't you a holy man? You can't tell me there is no ordinary or holy!" Ultimately, Bodhidharma does not know Bodhidharma, the emperor doe not know the emperor. When they meet, they do not know each other. Even Shakyamuni Buddha and Vairochana Buddha do not actually know. Is the Buddha's Heart Seal something that can be transmitted, or is it ungraspable? Grab your nose and find out. 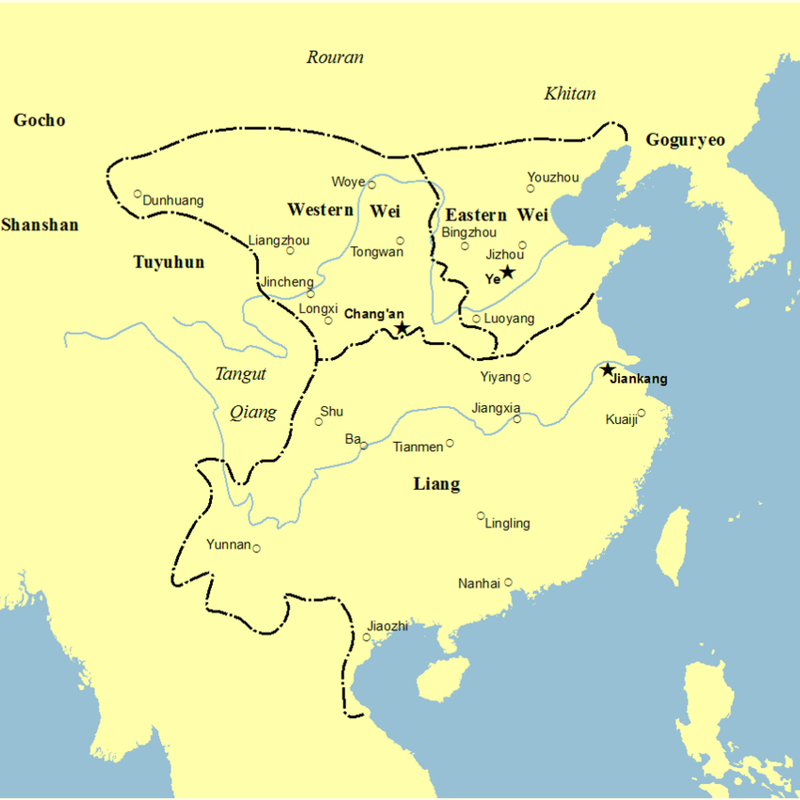 Even the famous exchange between Bodhidharma and Emperor Wu of the Liang dynasty, a celebrated mismatch that neatly illustrates the difference between the conventional "Chinese marga model" and the Chan "encounter model" of master-disciple exchange, is not recorded for the first time until 758 or shortly thereafter (in an appendix to a text by Shenhui). The ultimate meaning of holy reality means the ultimate truth of Buddhism. "Holy reality" is that which transcends both "profane reality" (the truth of the phenomenal world) and "true reality" (the truth of the world of essence). Bodhidharma said, "Vast and void, no holiness." This is the main point of the koan. According to Bodhidharma, "it is like the autumn sky without a cloud, completely clear. No such thing as 'holiness' exists." Thus he is presenting the real fact as "Vast and void, no holiness." The emperor was very surprised. He had been assuming that Bodhidharma before him was a holy man. But Bodhidharma tells him that there is no holiness. What's this vast emptiness? What is this "I don't know"? What does empty mean? It doesn't mean blackness or nihilism or nothingness, and it isn't the emptiness we complain about when we say "I feel empty." Everything is impermanent; nothing is fixed. One's own form is empty of any fixed thing. Realizing this emptiness, experiencing it directly, is one of the most important aspects of our practice. There is no fixed thing that is the self -- nothing to grasp onto, no firm ground upon which to stand, no right understanding to attain. As soon as you think you've grabbed "it," you have lost "it." Realizing "it" directly, tremendous freedom is manifest. When Bodhidharma left the emperor, he spent nine years facing a wall. What was he doing for those nine years? If you understand this koan, you can answer without hesitation. 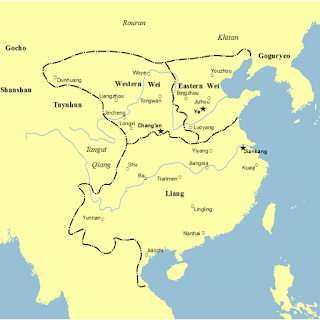 Emperor Wu, how could you know the willows' new green? Bodhidharma secretly crosses the river. You already know what's on the far side. When you see smoke, you know there is fire. When you see horns, you know there's an ox. "Hmm, the dimwit decides to speak up. Bah! What he says is not work a cent. He won't lose the wild fox spirit!" Cross from west to east, and then east to west. Let no one know which side you're on. Inside one phrase you will see through to many. even one more will be more than you need. "What end is there to the pure wind, circling the earth?" Forget the target, up there in the heights of the truth. That is one place where emptiness will never find you. eats through the ancestral library. The deep meaning of the holy truth is that there is no holy truth. Like a sincere and pious prayer.